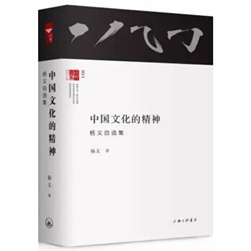 The Ethos of Chinese Culture, a personal anthology by Yang Yi, showcases changes in the writer’s academic ideas over the past few decades. Yang points out that his unshakable original aspiration is the prudent exploration of the root and ethos of Chinese culture. By viewing the root and ethos of Chinese culture as a lived life, he can find the way to Chinese culture and deeply understand it as the essence of life. He shows us how Chinese culture is increasingly invigorated amid the process of globalization. The methodology of the knowledge paradigm proposed and elaborated on by Yang, being similar to some economists’ field investigations, benefits from his fieldwork practice over the past four decades since 1978. During that time, he visited more than 200 ancient cultural relics throughout China, conducted various field investigations and collected many pictures, inscriptions, family pedigrees, local chronicles and oral records. Yang’s knowledge paradigm includes two structures, four points and one foundation. The two structures refer to world vision and cultural revivification. The four points refer to the basic standing point, the focus of attention, the key point and the ultimate goal of academic research. These four points require academic research to insist upon cultural essence, conduct deep exchanges with world culture, advance seasonal cultural creation and set up a new academic system. The one foundation means that all the academic research must be based on precise academic material, by which classic thought can be created. Given the above knowledge paradigm, Yang explains some main matters about the rise of China. First, thanks to the multilateral narration and vigorous margin narration, Chinese culture enjoys an internal source of creativity, which has been thoroughly adopted in the past four decades. Second, philosophers during the pre-Qin period represent the essence of Chinese culture. There were two gatherings of important philosophers. One happened in the late Spring and Autumn period. Confucius went to Luoyang (the capital of the Eastern Zhou Dynasty) to consult with Laozi about social rites, which ushered in 300 years of contention among hundreds of schools of thought. Taoism and the concepts of ren and li respectively proposed by Laozi and Confucious, are the origins and fundamentals of other academic schools. In the late Warring States period, Han Feizi and Li Si, two representatives of Legalism, advocated the thought of Xunzi, which put an end to the 300 years of contention among hundreds of schools of thought. That was the other gathering. The cultural prosperity in the Warring States Period led to the unity of the Qin Dynasty. Now, the rise of the economy, cultural rejuvenation and constantly increasing cultural vitality give Chinese culture immense confidence to compete with Western culture. Since studying western culture became a trend after Matteo Ricci’s missionary work in China, Chinese culture has experienced a “W” developmental pattern in competition with Western culture.